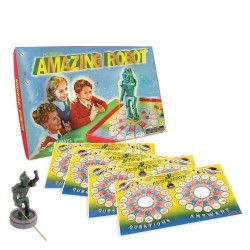 Windups and tin machinations polished with amazement and wonder! 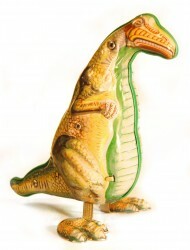 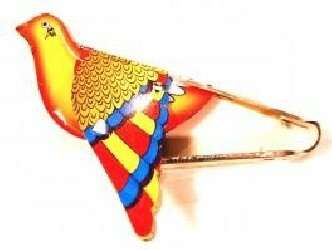 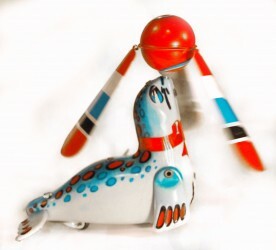 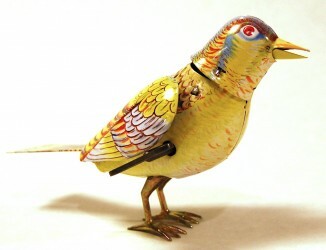 Old-time tin whistling toy bird. 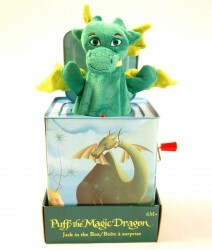 Puff the Magic Dragon in a musical box! 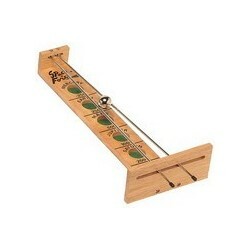 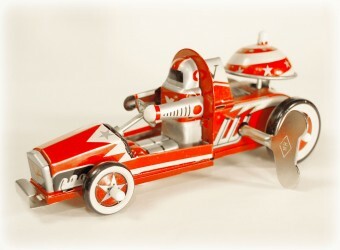 Master the art of acceleration! 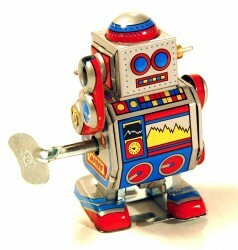 Invite The Magical Amazing Robot to your next trivia challenge! 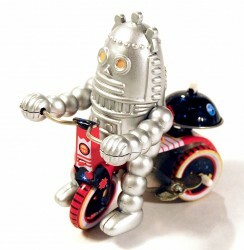 Baby robot rides his tricycle. 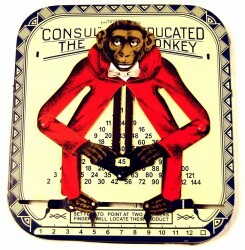 This educated monkey can multiply! 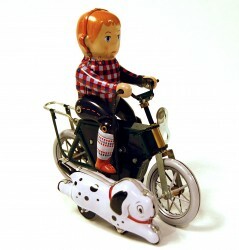 A boy rides his bicycle while his dog runs beside him. 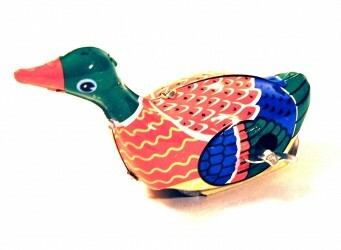 This colorful windup duck paddles along. 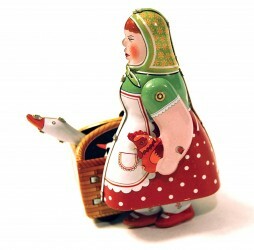 A lady takes her geese and pet rooster for a walk. 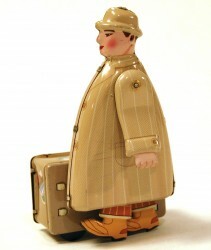 Man in an overcoat takes a walk. 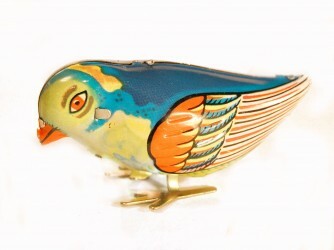 A flapping, singing, head-turning wonder. 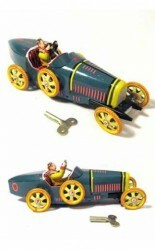 An historic car to race in your home!